Miami Mayor Tomas Regalado explains his proposals to prohibit short-term rentals in residential areas of Miami. Airbnb supporters stand behind Ben Breit, press secretary for Airbnb as he speaks prior to the mayors' conference. Regalado said he wants to “protect” the residential areas of Miami, specially those of single-family homes. He said if the resolution is approved, the administration will aggressively enforce the zoning code of the city by going after those who are commercializing residential areas by renting rooms or houses via the popular website. Some residents could also be at risk of losing their homestead exemption, according to a letter prepared by Miami-Dade County Property Appraiser Pedro Garcia’s office in which he warned residents of committing tax fraud if using Airbnb to rent their homes. 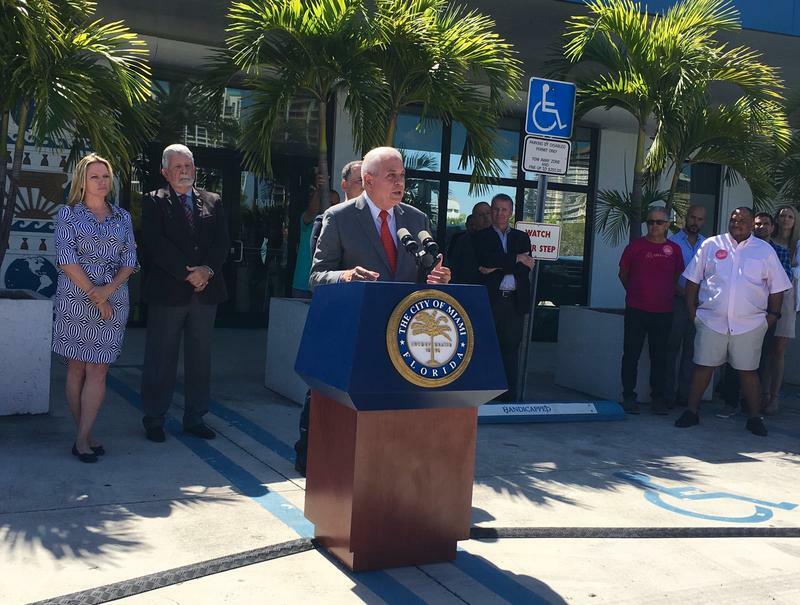 Outside City Hall Monday, at a joint press conference with Mayor Regalado, Miami Beach Mayor Philip Levine told reporters he wants Airbnb available only in “designated” areas. In March of last year, the city of Miami Beach approved a $20,000 fine for all illegal short-term renters. Mayor Levine has expressed in several occasions that he considers that amount "not enough." 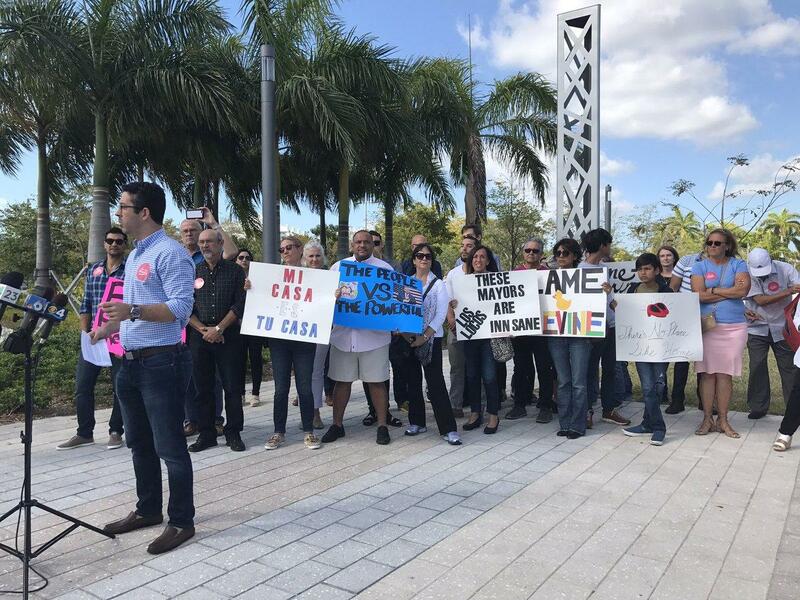 The joint press conference of the mayors of Miami and Miami Beach took place following a number of complaints which Regalado said he’s received from several unhappy residents through emails. 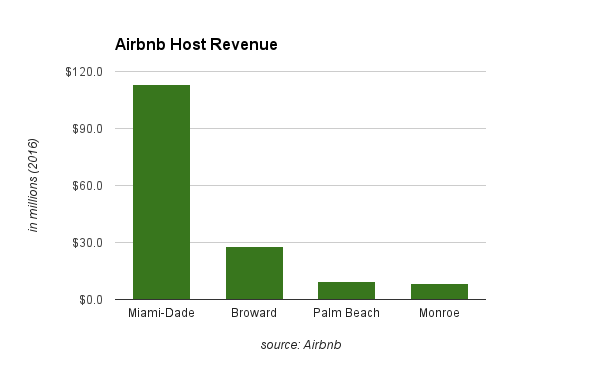 Last year, Airbnb reported nearly 7,000 Miami-Dade hosts offering their properties for rent through the platform. Some hosts have multiple properties. Resident Jazmin Martin says she won’t be able to pay her bills if she can’t continue renting a room in her house--as she’s done for the last year. “As a single mother with two kids, as a nurse, full-time nurse, I wasn’t able to support my home fully until Airbnb came into my life a year ago,” Martin said. Martin is not alone. More than a third of renters in Miami pay more than half their income in rent, according to the Apartment List National Rent Report. The median rent for a two-bedroom apartment in Miami is $2,400, according to the same report. The 13th Annual Demographia International and Housing Affordability Survey for 2017 also showed Miami in the top 10 most expensive cities to rent in the United States. Unlike Mayors Regalado and Levine, Miami-Dade County Mayor Carlos Gimenez reached a tax agreement with the global home-sharing company. Under this agreement, Airbnb will collect a 6 percent resort tax and will pay the county every month. If approved, Miami-Dade could receive a revenue of an estimated $8 million each year, according to Ben Breit, the press secretary for Airbnb in Florida. Breit thinks having “fair” rules is important, but completely prohibiting residents to rent a spare room could affect many residents, especially middle-class Miamians who depend on the additional income they acquire through Airbnb. Corrections: The original version of this story stated that there were nearly 7,000 rentals through Airbnb in Miami-Dade County last year. The correct number is nearly 7,000 hosts offering their properties for rent. The original version also stated that mayor Levine was making efforts to increase the fines against short-term rentals in Miami Beach. 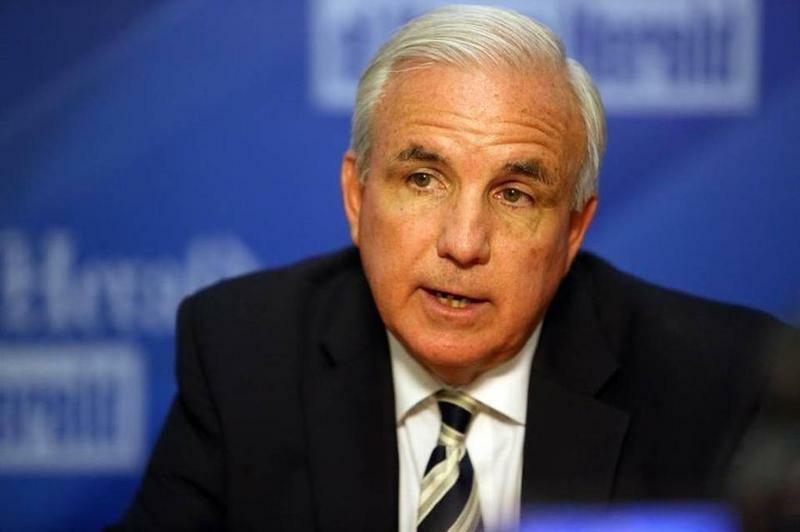 Levine isn't proposing any new legislation at the moment, only mayor Regalado is.